Sheffield Road Methodist Church. See note below. Photo courtesy of Jill Armstrong. Names given for this photograph by Jill Armstrong. Left to right: ? 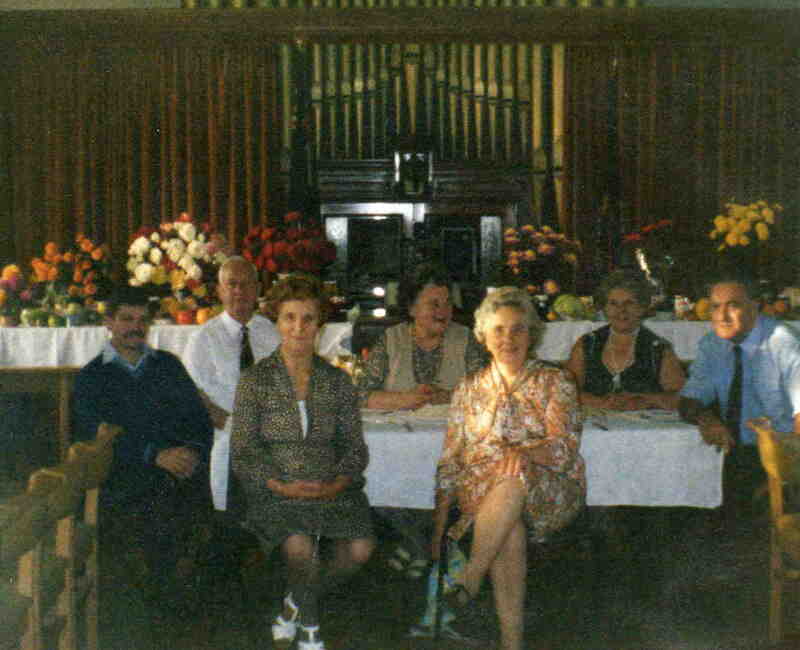 ?, Charlie Armstrong, Jessie Armstrong, Hilda Lear, Ida Mallender, Ethel Burgess, Bill Batterham.